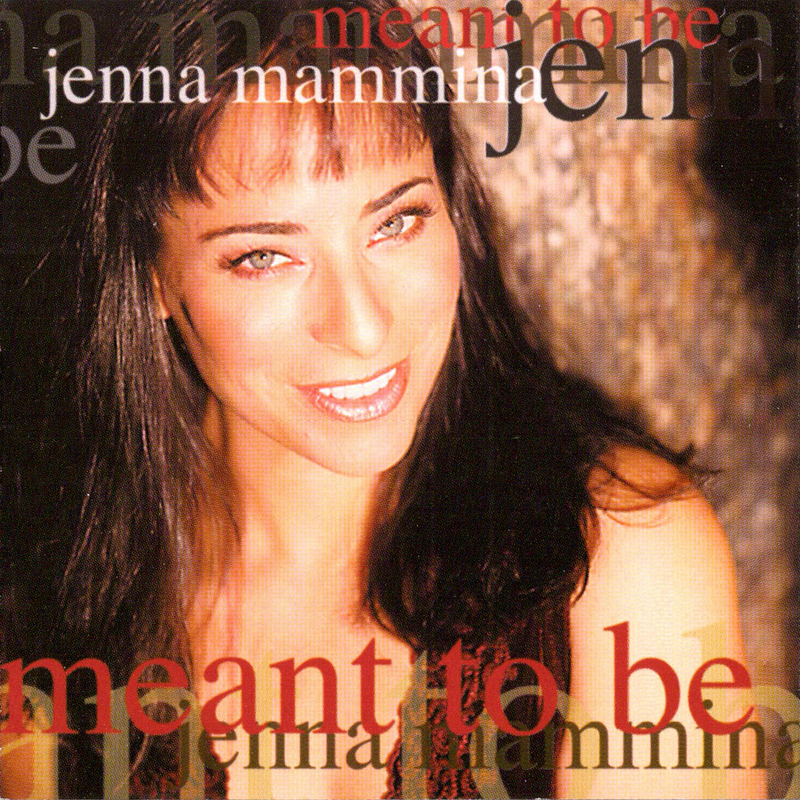 On her new album, Meant to Be—the eagerly anticipated follow-up to her acclaimed 1999 debut, Under the Influence—singer Jenna Mammina continues her relentlessly inventive exploration of new creative territory, and her quest for transcendence of the old boundaries that once separated musical styles. For the second time, Jenna is collaborating with producer Cookie Marenco collecting songs from a dizzying variety of sources—from jazz immortals such as Duke Ellington and Fats Waller to rock, pop and folk icons like U2, Steely Dan, James Taylor and Tom Waits—and in doing so has made bold strides toward bringing the definition of "standards"—those songs that stand the test of time—fully up to date in the 21st Century. Once again, the Mammina/Marenco team has assembled a remarkable cast of supporting players. Returning from Under the Influence are: guitarist/musical director André Bush, keyboardist Matt Rollings, accordionist Rob Burger, vocalist Tony Mammina, and drummer John Mader. Among those joining them are: reed player Paul McCandless, bassists James Genus and John Shiflett, violinist Darol Anger, and cellist Matt Brubeck. They provide accompaniment that ranges from playfully swinging (as on Sammy Cahn and Jule Styne's Put 'em In A Box and Ellington's In A Mellow Tone) to hauntingly atmospheric (U2's Running To Stand Still) to beautifully poignant (Jenna's touching rendition of Tom Waits' Hope That I Don't Fall In Love With You). Among the album's many other highlights are: Mack Gordon and Harry Warren's old standby, The More I See You, given a lovely Brazilian lilt; a bright new take on Steely Dan's Dirty Work; and Jenna's original compositions, The Same Things (written with André Bush and Jon Bendich), and A Love That Lasts (written with Bendich and Mike Busbee). Meant to Be is more than just a worthy successor to Under the Influence—it establishes, more firmly than ever, that Jenna Mammina is one of the most creative and compelling new voices to emerge in many years. The joy of new discovery is evident in every note she sings, and that joy is shared by the new listeners who are discovering, in ever-growing numbers, this remarkable talent.